AGENDA: Massively Multiplayer Online (MMO) technology has arrived in all forms of gaming. Giants like Blizzard’s ‘World of Warcraft’ define the commercial-subscription genre, and newbies like Webkinz and Club Penguin have burst on the scene with amazing financial success. Page based Web 1.0 interactivity is no longer competitive. Embrace the paradigms of the emerging ‘Web 2.0’, with an MMO’s unique and engaging new format. In this session we will overview MMOs as the sublime progeny of Web 2.0 & the Rich Internet Application (RIA). 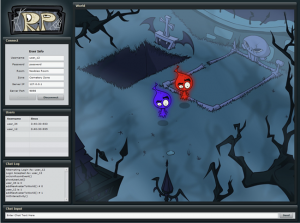 Learn to create a simple, fully functioning MMO social experience in less time than you think. While the examples shown will be specific to Flex 3 for deployment to the browser, this session is equally relevant for application developers of other technologies including Adobe Flash Professional and Adobe Flex for Adobe AIR desktop deployment. Here is a screenshot of the MMO we create. TAKE-AWAY: Be inspired with a simple, efficient workflow for creating the technical side of a basic MMO. With the technology solved, now unleash your imagination on how to evolve the creativity in MMO’s. All source code and documentation will be available to attendees. Conference: August 17th – 20th, 2008. Session: TBD. Don’t understand me? Don’t blame you. You really need to see the video and source code (See ‘Member Resources’ below). [private_Free member]Enjoy this members-only content! 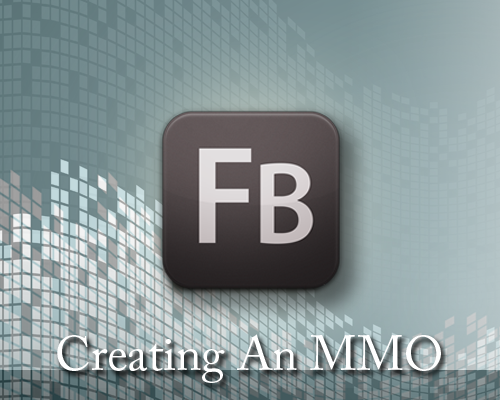 My "MMO" Article Published in Adobe EDGE Newsletter! Hi. I saw your topic listed in a Google Alert I got about ‘Adobe AIR’. I would LOVE TO see it! I wouldn’t have even put this in the range of possibility for Flex. Intriguing perspective on MMOs as offspring of Web 2.0 and RIA. VERY interested. This was a great presentation, thanks for the talk! Keep up the helpful job and producing in the group! Love the site– extremely user pleasant and lots to see! Lovely Site, Keep up the wonderful job. Thanks a ton!. I love the content on your internet site. thnx!. Much thanks! It is an superb internet site!. Awesome Site, Maintain the wonderful work. Thank you so much!. I benefit from reading your site. Thanks for your time! I like this blog its a master peace ! Glad I discovered this on google . Very interesting details you have observed, regards for posting. “Oh, what a tangled web we weave, When first we practice to deceive” by Sir Walter Scott. I enjoy your writing style truly loving this internet site.